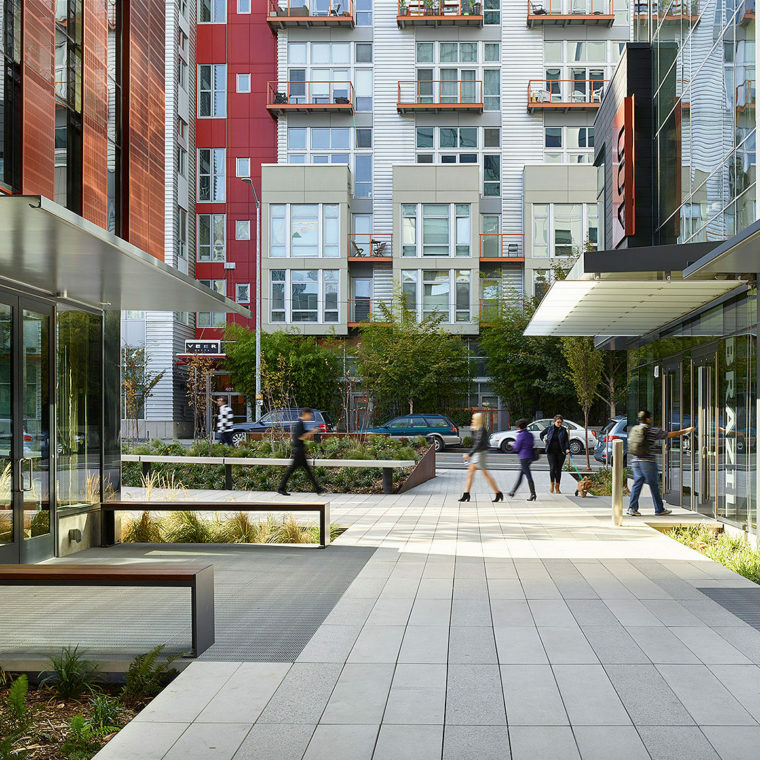 The landscape for this half city block is anchored by a dynamic street edge courtyard and mid-block connection activating the western edge of Seattle’s South Lake Union neighborhood. 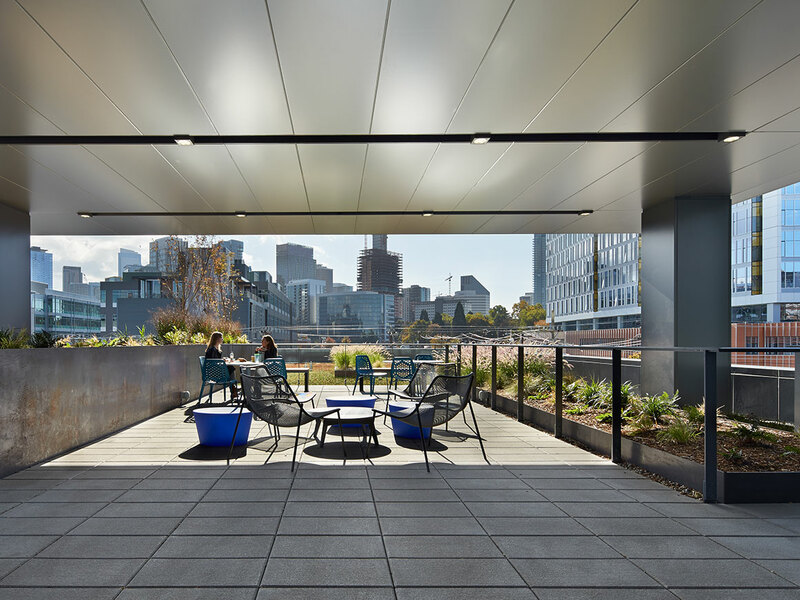 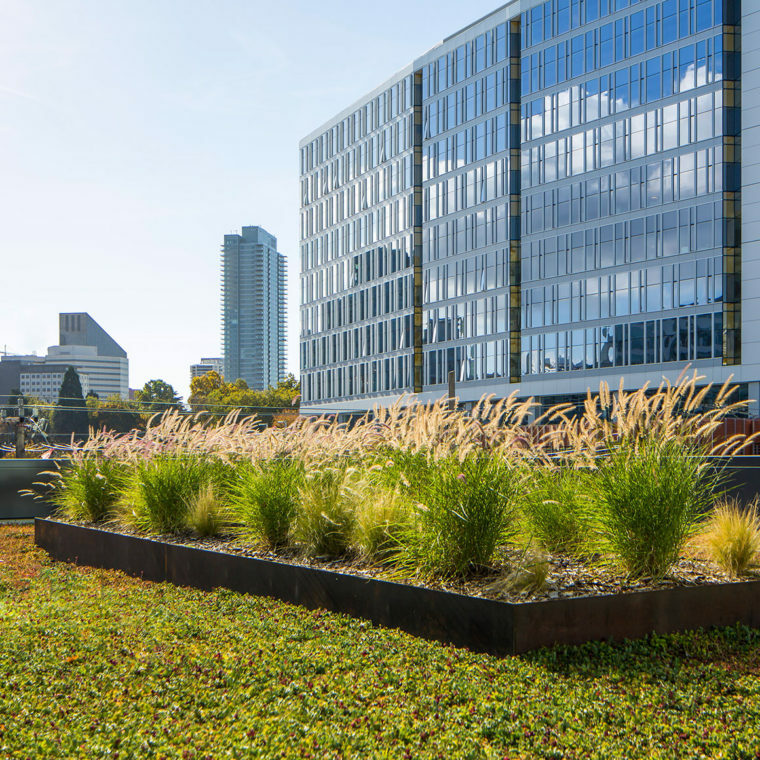 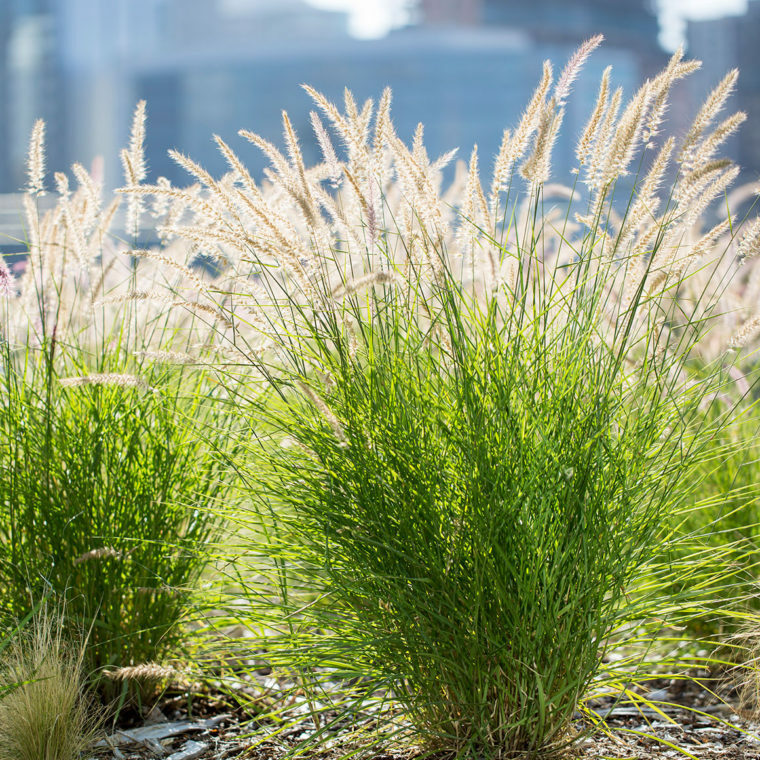 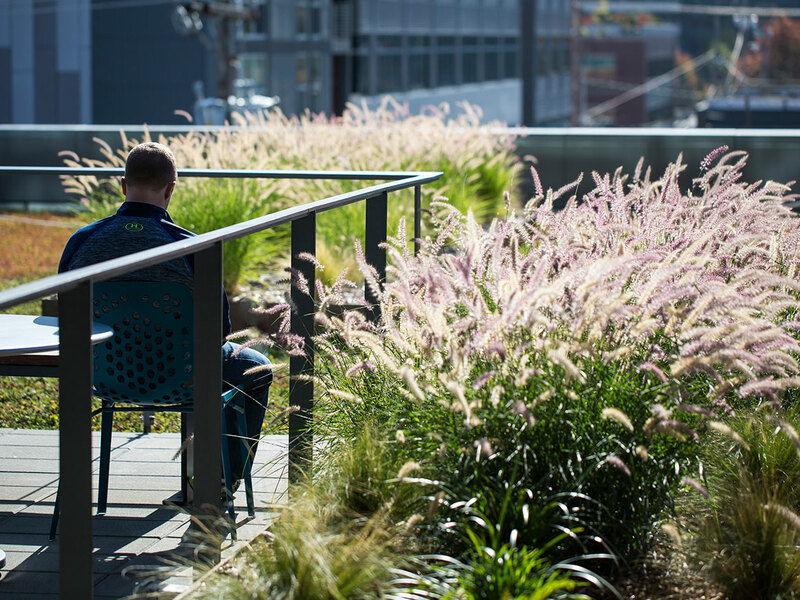 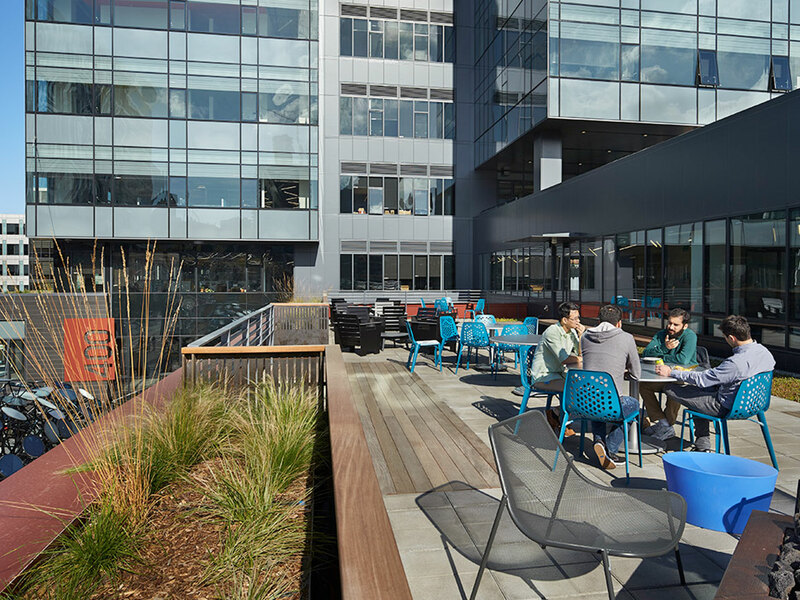 Clean, geometric aesthetics shape modern amenities such as a rooftop fire pit, green roofs, and intimate spaces for gathering. 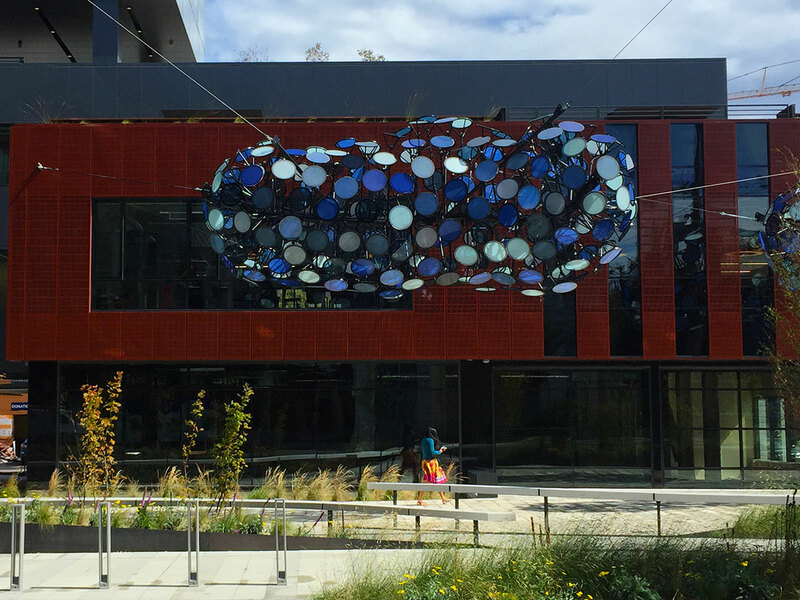 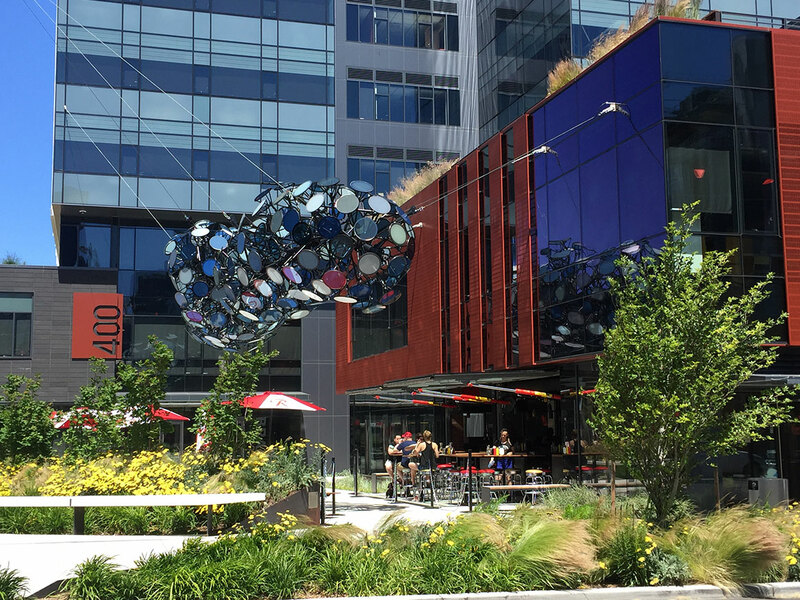 The southwest facing plaza captures optimal sun and is home to “Nebulous,” an art installation by Dan Corson. 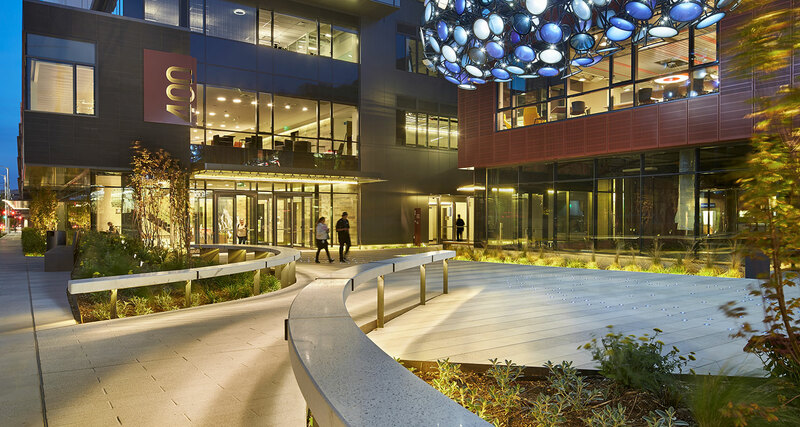 Striking lighting creates a vibrant evening environment and highlights the gracious curves of two arching platforms. 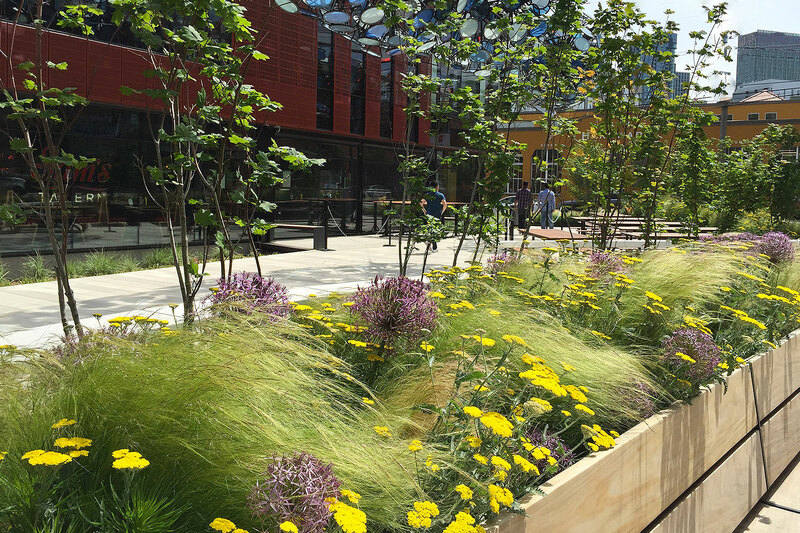 Streetscape plantings are pollinator friendly and drought tolerant.